Since mobile has become a basic need for every common as well as important figure now a days. So, every company is highly working to find more effective ways to protect sensitive data of their users and in the race, Vodafone lead the game. In collaboration with its security partner Giesecke & Devrient (G&D) which is an international leader in mobile security solutions, Vodafone is offering an end-to-end encryption for mobile communication based on the phone SIM card. Secure Data such as emails, documents, data carriers, and VPN connections will be signed and encrypted by the SIM in such a way that they are unreadable to unauthorized third parties assuring your security and privacy. 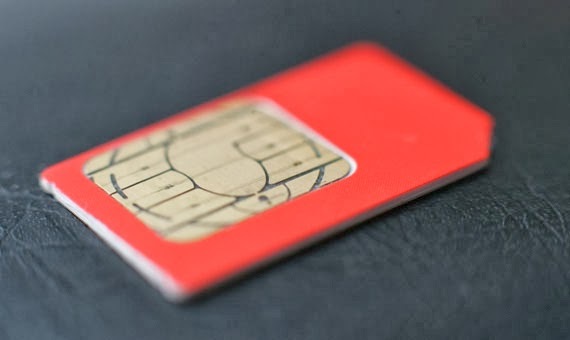 SIM users have to encrypt the data by simply using a PIN and a digital signature, and the same is needed in order to decrypt the communication. "The solution uses the widespread S/MIME encryption program for email exchanges, and in the future, encryption via PGP will also be possible. Users also have the option to authenticate emails in order to verify origins and that email content remains unaltered." "We created Vodafone Secure SIM Data as a simple, cost-efficient and above all secure value-added service based on the Vodafone SIM card for the telecommunications group's corporate customers," said Carsten Ahrens, Group Senior Vice President of Vodafone Germany's Server Software and Services division. "It regulates access to sensitive data while also protecting mobile data communication effectively against attack." The type of security the company offering would usually require a separate smart card or security token when logging on via a portable computing device. Yet, Secure SIM Data stores the digital private key and corresponding certificates on the SIM in the user’s notebook or tablet, which alienate the use of additional hardware such as card readers etc. Since Vodafone work on providing a standardized, flexible and cost-efficient product for their customers, now is also planning to launch its ‘Secure Call app’ for Android, iOS and Windows Phone devices to simplify encrypting mobile phone calls, in partnership with Secusmart.